Just what is a birthstone ring? Most people know that they have a birthstone for the month that they were born. However, you may not know the connection between you and your birth gem and the benefits of wearing it in a birthstone ring. The month that you were born corresponds with a star sign. When the stars are in a specific alignment, it is possible for you to harness additional energy from the universe by using your birthstone. Wearing a birthstone helps connect you to your sign and the energy that it brings. If you want to know how wearing a powerful mystical breath birthstone ring can help transform your life, you should learn more about your birthstone and your star sign. Here is your complete birthstones guide. Each month of the year has a specific gemstone connected to it. The idea of giving each month a different birthstone ring is not an ancient practice. In fact, the modern birthstones were decided by various mystical groups in the period 1890 to around 1920 when the matter was finally settled. There was much controversy about this, because association of a person with specific energies lies at the heart of many mystical practices and beliefs. Much experimentation with astral travel and vision experience was used to ensure that the correspondence between the date of a person's birth and the energies of the relevant star sign were properly and truly correlated. This is critically important because stones that do not align with a person's birth-sign can be worse than useless and even cause mental discomfort and unease. While the widespread use of birthstone rings is a recent development, people have used birthstones to represent astrological periods since the beginning of written history. In ancient times, the High Priest of the Israelites wore a breastplate adorned with 12 gemstones. Josephus, a first-century Jewish historian, believed that these gemstones signified the 12 months of the year and the 12 different zodiac signs. For many years, people in various cultures believed that the birthstones were directly related to the astrological signs. It was still not common practice to wear your own birthstone ring or pendant. However, in the eighth century, gemstones were assigned to each of the 12 apostles. Around this time, some Christians began wearing the corresponding gemstone for the apostle each month. Historians believe that the concept of wearing your own birthstone ring or pendant may have started in the 1700s in Poland or the 1500s in Germany. The true esoteric meaning of birthstones and their powers was a long guarded secret. Sadly though, and as is always the case, commercial interests began interfering in the accepted definitions for the simple reason of wanting to selling more birthstone rings! To help increase the sale of gemstones, the National Association of Jewelers decided to create a standard set of birthstones. In 1912, members of the association met in Kansas and created the modern birthstone list, which was updated again in 1952. While some of the birthstone rings have changed, fortunately many have remained the same. For example, garnet, amethyst, sapphire, emerald, and topaz remain the same as they were in the 15th century. There are also many people that prefer to use the gemstones connected with their astrological sign. As there are 12 zodiac signs, there are also 12 gemstones, many of which correspond with the birthstone for those born in the same month. For example, the official birthstone ring for January is garnet, which is also the gemstone for the Aquarius. We consider this guide to be accurate and based on original meanings developed over centuries. Birthstones and star signs are directly related. The 12 zodiac signs and the 12 gemstones are connected through the natural energy of the universe. Your zodiac sign is connected to you because the stars aligned in a specific way the month that you were born. Every year, when the stars are aligned in the same position, the universe sends you positive signals. There are many people that believe wearing the corresponding birthstone ring or pendant helps connect this energy. Wearing your birthstone ring may help attract the aura of positivity that the universe is providing. Many people believe that this can bring powerful healing powers. You may finally gain the power to overcome your stress, anxiety, or depression. The positivity may also lead to positive changes in your outlook on life. When you promote happiness, more happiness is returned to you. You can also continue to benefit by wearing your birthstone ring throughout the year. These gemstones are taken from the earth and forever linked to the universe. As they are linked to the universe, wearing them can help you tap into the hidden powers related to your zodiac sign. You should understand the natural energy of your star sign and how it’s reflected and focused by your birthstone ring. The standard astrological signs are shown below and for added interest and information, we have shown the alchemical property, the ruling planet and the birthstones applicable to each. We've done this because all of these things are connected in the greater scheme of things and eventually toy get a 'feel' for them and just know what's right for you and where you fit in. Each sign is connected to specific traits. These traits are part of your inner nature, which is easily forgotten when you lead a busy lifestyle. Identifying your zodiac sign and then finding the corresponding birthstone ring may help you get back in touch with your inner self, which is often the first step in obtaining personal happiness. What Should You Know About Your Birthstone? Each month has its own birthstone ring, just like every month has its own star sign. The star sign and the birthstone are considered connected, which is evident when you compare the meanings behind these symbols. What Does My Birthstone Ring Mean? What does my birthstone ring mean? Here is a closer look at each birthstone and gemstone based on the official jeweler’s list of birthstones and the gemstones connected to each zodiac sign. Examine the significance of your birthstone’s color, energy, general benefits, and powers. It is important to note that each star sign covers two months and that the dominant traits of the sign arise from the early weeks and that as the month progresses, the growing forces of the following star sign step-in. Therefore, we have allocated the dominant stone for your month of birth. You will also find some affinity with the stones of the preceding and following months, but these affinities are much weaker. Garnet is connected to January and Aquarius. The garnet birthstone ring symbolizes protection. If you are lucky enough to be born in January or born an Aquarius, you are likely a protector of those that you love. It can also represent trust and friendship. Garnet is a beautiful birthstone that comes in a variety of colors. However, deep red garnet tends to be the most popular choice. It can also represent prosperity. The various meanings behind the garnet gemstone are all related to the strength of mind and will. You are likely a trustworthy person and willing to do what is right for others. Wearing your birthstone ring may help give you more strength to overcome indecision or self doubt. February is connected to the amethyst gem, which signals wisdom. People born in February may possess deep wisdom and insight. However, this birthstone means a lot of different things to different cultures. While amethyst is also available in different colors, purple amethyst is the most common. Amethyst is also the gemstone for Pisces. People believe that symbolizes spirituality and sobriety, both of which are connected to wisdom. When you are having trouble making the right decisions, wearing your amethyst birthstone ring may help you unlock the wisdom within you. People born in March have the aquamarine birthstone. This birthstone indicates that you are a serene person. The aquamarine gem was also thought to offer protection to sailors. While aquamarine is the official birthstone, bloodstone is the gemstone connected with the Aries astrological sign. If you were born between March 21st and April 20th, you can consider bloodstone your birthstone. It represents endurance. When you are struggling to endure the challenges that life throws at you, make sure that you start wearing your bloodstone birthstone ring. Quartz or diamond are the birthstones for people born in April. Diamonds signal strength. This makes sense, as diamonds are the hardest gems. However, part of April is also the time of the Taurus, which is connected to the sapphire gemstone. Besides strength, people that follow the astrological signs believe that it represents loyalty and truth. Wearing your sapphire birthstone ring may give you the strength to remain truthful and loyal during dark times. If you were born in May, your emerald birthstone may indicate that you are a hopeful person. It can also symbolize intelligence, youth, and growth. Emerald gems are a lovely green color. However, if you go by your astrological sign, Geminis have the agate gemstone. Agate offers protection against stress. Wearing this birthstone ring is beneficial for those that suffer from stress or depression. June is for lovers. 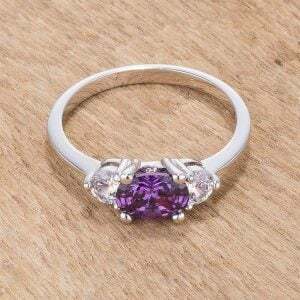 The pearl or alexandrite birthstone is often related to matters of love. These are both unique birthstones. The pearl is the only gem that is produced by a living creature, instead of mining it. Alexandrite is also distinct. It appears green in daylight and purple-red in artificial light. For those born between June 21st and July 22nd, emerald is the birthstone ring connected to your astrological sign. As mentioned, the emerald signals hopefulness, youth, intelligence, and growth. It also represents understanding and patience. It is a powerful gemstone, as it has a variety of beneficial powers. Unlocking the natural energy of the emerald with a birthstone ring may help you overcome challenges and gain hope when you are feeling lost. This is a complicated month! The ruby represents vitality and is the birthstone for people born in July. The ruby is one of the most famous gemstones. Besides vitality and health, it can also represent wisdom. It has a deep-red color. If you were born between July 23rd and August 22nd, you are a Leo and onyx is your star sign gemstone. The Onyx birthstone ring brings comfort and relaxation, which is fitting for Leos. If your busy lifestyle is keeping you from relaxing, wearing your birthstone ring can offer a reminder that you need to occasionally take time for yourself. People born in August primarily have the peridot birthstone, which is related to beauty. While everyone is beautiful in their own ways, you may have additional inner or outer beauty. Peridot also represents healing. People used to wear a peridot birthstone ring to help ward off nightmares and evil thoughts.Onyx can also help those born early in the month, bringing relaxation and a sense of peace - which is great in today's world of stress and hurry. Sapphire is the birthstone for those born in September. The sapphire birthstone indicates that you are a truthful person. Sapphire may also represent protection and romance. The colors vary from blue to violet. If you are a Virgo, then your birthstone is chrysolite, which is also known as peridot. This is also the official modern birthstone for those born in August. While it can symbolize beauty, it also symbolizes success. You can wear your star sign birthstone ring as a good luck charm. Tourmaline is the October birthstone ring. It is considered a sign of healing. Like Opal. Tourmaline comes in a rainbow of colors and is a unique gem. October is also occasionally connected with the similar opal gem. For Scorpios, Beryl is the zodiac birthstone ring. It is associated with honesty and beauty. Keeping this gemstone on you may give you the power to be more honest with yourself and to see the inner beauty in others. If you were born in November, you have the citrine birthstone ring, which is related to joy and happiness. It is also known as the healing stone. November is also the month for the topaz gem, which is the gemstone for the Sagittarius. Topaz also represents warmth, energy, strength, and wisdom. Like citrine, topaz has a rich orangish-pink color. Topaz is another powerful gemstone. It should be worn with pride, as it signifies that you are a helpful person. You are a giver that offers strength and wisdom to others. When you feel that you are lacking your own strength, keep your birthstone ring close. People born in December have the turquoise or tanzanite birthstone. These stones are connected to friendship. You may be good at making and keeping friends. Besides turquoise, people born in December may use blue zircon and Topaz as their birthstones. If you were born in late December or the first part of January, you are a Capricorn and the ruby is your star sign birthstone. It is connected to love and passion. If you are ever feeling alone or unable to make new connections, wearing your birthstone ring can help you remain more connected to your nature. Wearing your birthstone ring helps you connect to the natural energy in the world. Energy is all around you and the birthstone may help you harness it. As you age, it becomes easier to drift away from the things that help keep you grounded. Keeping your birthstone on you provides a constant reminder of your true self, grounding you and allowing you to open yourself up to the energy. Wearing the gemstone that corresponds with your astrological sign is a powerful way to reconnect with your inner nature, which can lead to happiness and may bring good luck.